Medical equipment always is important to assist doctors and nurses as aiding patient for diagnosis of disease, treatment, even rescue in emergency. 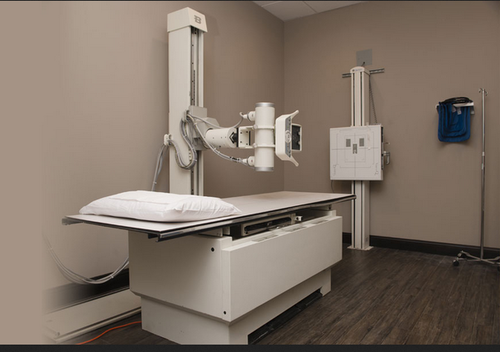 So according to the definition of medical equipment, it is exactly to apply to human body as apparatuses, devices, appliances, materials or other articles solely or combinedly, also including needed software sometimes. Medical equipment is crucial and fundamental factors for medical treatment, scientific research, education, institution and jobs of clinic subjects. There are many classification to medical equipment. At the first, according to FDA (US. Food & Drug Administration), they have classified almost 1,700 different generic types of devices, and also have grouped these devices into 16 medical specialties. So in terns of device’s class, we may know as class I General Controls, class II General Controls and Special Controls, class III General Controls and Pre-market Approval. Well this is really regular and professional classification, so aiming at common understand by people then we may simply divide into two parts such as Hospital application and Home application for medical equipment. Everyone experience treatment of disease in hospital, no matter chronic disease or acute disease. So we should know some simply and common devices. Actually these medical equipment are enough for us as common senses. 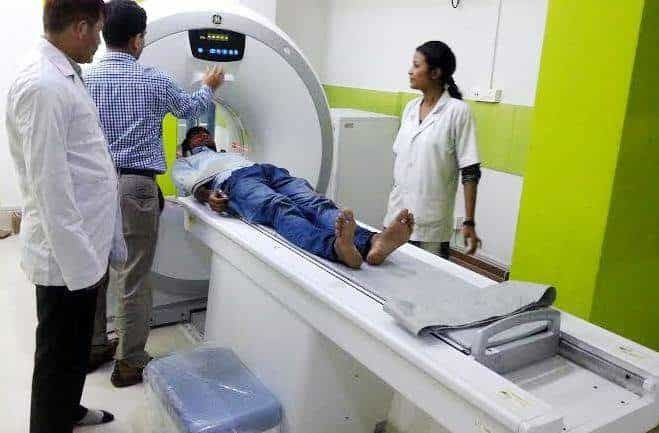 Normally in hospital, specialists, doctors and insiders advocate to classify variety of medical equipment into three main types such as diagnosis instruments, treatment devices and auxiliary equipment, meanwhile, diagnosis instruments also sort into 8 types. These instruments sometimes are super expensive because of its sophisticated technology and high quality materials such as alloy frame and cases. So generally the instruments has been sourced through qualified and large scale manufactures. I hope you may know these equipment through my introduction below, I will offer a few examples belonging to type of diagnostic apparatus. X-Ray Diagnostic Instrument, actually it was discovered by Wilhelm Roentgenin 1895, then X-ray at present, are most used for medical diagnosis, also for cancer treatment. X-ray diagnostic instrument’s working principle is about that they are electromagnetic energy waves which are much more energetic than normal light rays. Ultra Diagnostic Instrument, now it is developing new ultra sound technology and related products for diagnostic imaging of the brain, trans-bone or other organs’ Ultra diagnostic instrument may enhance the quality, meanwhile, reduce patient care cost in emergency department. So this instrument has been widespread to apply for the hospitals in many countries. Ward Nursing Equipment, a lot of equipment and instruments may outfit in the ward or therapy room such as hospital bed, specialized nightstand, infusion bottle stand and so on. According to different room, with different the facilities. Rescue Equipment, the main and important equipment is respirator. Certainly, the Ultra nebulizer is another common equipment in ward or saying in ICU. These devices may help doctors to rescue the patients immediately so that the patient with treatment relieve about their disease or avoiding death. The auxiliary equipment is the third main classification, there are a lot of instruments or devices to divide into it such as refrigerating equipment, disinfection and sterilization equipment, Air conditioner system, blood bank equipment, medical data processing equipment, pharmaceutical machinery and so on. Let us have a look about related handout photo. 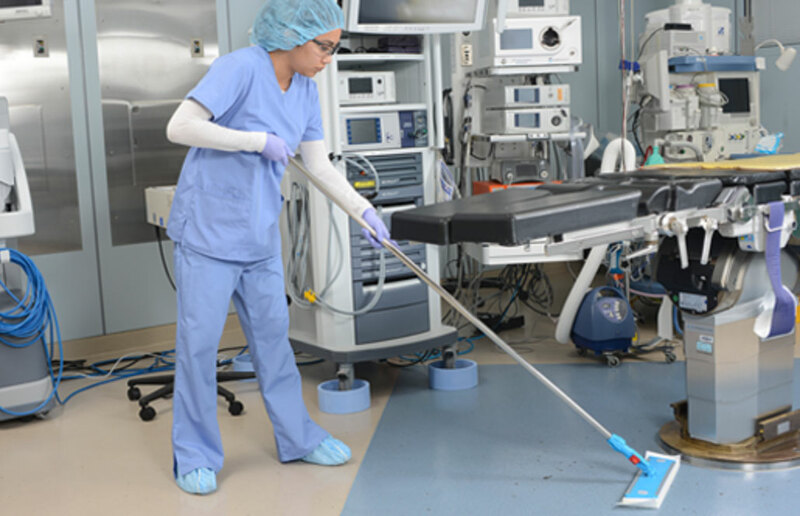 Disinfection equipment, and one nursing staff cleans the room by sterilization equipment. From name itself, you may find out that the medical equipment and devices mainly adapt to home application, differentiate from hospital equipment because of its features as easy operation, small size, convenient carrying. 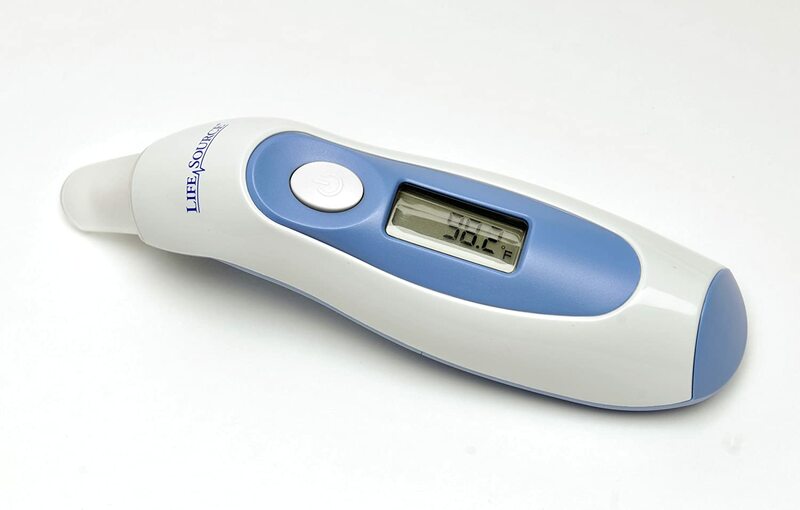 There are many devices such as electric thermometer, electric sphygmometer, Blood glucose meter and so on. Let us have a look about some pragmatic devices, may help you future in case of some sudden incident. Electric Tooth-Brushes, you might be surprised and doubt about its classification, a medical equipment? Yes, this tool may help you to prevent tooth decay. Electric Thermometer, every family must own one about thermometer, meanwhile I recommend electric thermometer due to it is more safe comparing to mercury thermometer, and more fast to get result about your body temperature. Ferrous metal, Pipes, Hollow sections and Tubes. The normalized rolled steel grades L245NB – L415NB are appropriate for hot forming. APL Apollo has prominently emerged as a ‘one-quit shop’ for a wide spectrum of steel tubes, and attained a paramount market position in the segment. In Example 1, a tubing material obtaining a round shape was manufactured by the hot extrusion process, and subsequently an inner grooved tube was formed utilizing the tubing material by the cold rolling method. 1. Far more fluent and smoother surface and superior corrosion resistance property than hot dipped zinc galvanized steel coils. The firm boasts state-of-the-art production facilities positioned on the East Rand of Johannesburg, as properly as regional representation In RSA and within Sub Saharan Africa. Equipped with wire ropes, sheaves, and a hoist, cranes are utilized to lift and move components and supplies for the duration of construction. 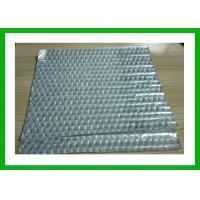 Aluminum reflector sheets are available in numerous finishes, colors & alloys such as 1085, 5005, 5657 H19, H34, H25 & H262 grade alloys. Our commercial gear supplies incorporate a complete range of chefs knives from marketplace major brand names such as Giesser, Genware and Judge. A bulldozer is a tracked tractor that has an integral metal blade utilised to drive a considerable magnitude of soil, sand, debris, and so on., generated throughout construction. Made with respect to business set norms at our finish, the full collection of soaring top quality of Stainless Steel UNS S20200 Round Bars presented by us is particular to be an exceptional top quality. 316 is the common molybdenum-bearing stainless steel, second in value to 304 amongst the austenitic stainless steels. Is one particular of top Manufacturers and Suppliers of Mild Steel Merchandise. The Bulldozer can inflict inordinate harm against heisters, and can only be destroyed with concentrated firepower from a number of players converging on the unit. We distribute these steel angles with high quality Mild Steel or MS Angles making use of higher grade raw material. We supply a huge range of best quality goods with a option to suit each and every price range. The Development Steel Angle Bars Production is on three committed rolling lines and the angle bars are manufactured beneath strict top quality controls to make certain consistancy and conformity to regional and international standards. Our offering is completely unique inside the business: from melt to final item, pipe to connections, U. S. Steel has full control more than every step of the pipe manufacturing approach. At vendor’s finish, these merchandise are manufactured using best raw material with the aid of the latest tactics and machines in complete compliance with the set business norms. This ensures the delivery of higher-quality goods with exceptionally quick lead instances. Asia Pacific is Manufacturer & Exporter of Ceramic wall Tiles, Floor Tiles,Porcelain Tiles & Sanitaryware. Custom manufacturer of aluminum, brass, copper, stainless, hi-temp & exotic alloys, titanium, precious metals & plastics. By now, Kingruiman’s solution are a lot more and much more diversity, which incorporate of Spiral Piling Pipe, Water pipelines and Anti-corrosion pipelines, and all sizes of Carbon Seamless steel pipe, ERW steel pipe, LSAW steel pipe, Rectangle steel pipe, Scaffold pipe, Galvanized steel pipe, and Stainless seamless steel pipe and so on. At Asia Pacific, we have constructed a powerful rapport with our client with greatest buyer service and high quality item satisfaction. CRC items presented to the industrial, engineering and manufacturing industry as a premium raw material for transformation into any number of worth-added items for the domestic and export markets. Aluminum mirror sheet suppliers adopt are rolling technology for manufacture mirror sheet and mirror coil metal. It can also be made from numerous components such as brass and stainless steel. The graders as a single of the most well-known kinds of building cars can be also employed to produce sloped surfaces. There are 505 modest garden digging machine suppliers, mostly located in Asia. Distributors of sheet, plate, bar, coil, extrusions, tubing and pipe in stainless steel, aluminum, titanium, nickel, copper, brass and bronze. Broadly employed in construction market, these Angles are of superior good quality. Stainless Steel Angle Bar can extensively utilized for Industries, Constructions, Decorations,etc. We are engaged in manufacturing, wholesaling and trading a wide variety of Seamless Pipes, Carbon Steel Pipe, Hollow Section Pipes and Welded Pipes. After the dozer is filled with fuel, hydraulic fluid, coolant, oil, and other sorts of fluids, its weight increases by many hundred pounds. Cold Drawn Seamless Stainless Tubes are packed with plastic finish caps in a wooden box with an inside thermocoal covering. The Vulcan is a devastating weapon to counter Bulldozers with due to its blazing price of fire and higher capacity. The high quality of supplies and suppliers can make or break a restaurant enterprise Overpriced supplies can ruin your price range before the doors even open. Our chef clothes variety delivers a choice of chef trousers and chef jackets from professional clothes brands Tibard and Genware to actually cover all the restaurant supplies you require. To Manufacture ERW Stainless Steel Pipes HR Coils are necessary. The chemical composition for two types A and B of the steel supplies employed is summarized in Table three. Utilizing these steel components, tubing components in a varied size were manufactured by the hot extrusion approach, and the tubing materials therefore manufactured were heated at 1220° C. for 3 min. Buried in debt, Centinela hospital of Inglewood was on the verge of bankruptcy in 2007. It had lost $50 million in four years, and local officials worried that it might close — following the path of several other South Los Angeles hospitals.But where others saw risk, cardiologist Prem Reddy saw opportunity. Reddy’s company, Prime Healthcare Services Inc., bought Centinela and quickly turned it around, cutting expenses and increasing revenue. Centinela lost $63 million in 2007. Six years later, it made $39 million. Today it’s rated among the better-performing hospitals in the state. The Ontario company has followed the same model over and again, growing from a single hospital in 2001 to the 30 it now operates in nine states. Reddy has become one of the most powerful — and polarizing — figures in healthcare. Critics say he reduces important but unprofitable services. Supporters say he’s rescued hospitals that otherwise would have failed, improved services and provided an impressive amount of care to indigent patients. In his boldest move yet, Reddy is now trying buy a chain of six nonprofit Catholic hospitals across California, including St. Francis and St. Vincent medical centers in Los Angeles County. Acquiring the Daughters of Charity Health System hospitals, which are also on the verge of bankruptcy, would be a major step for his growing company. But the $843-million deal needs the blessing of California Atty. Gen. Kamala Harris, who must approve sales of nonprofit hospitals. The deal’s biggest opponent is a union that was among her biggest political contributors in her 2010 and 2014 campaigns. As Harris campaigns for Barbara Boxer’s U.S. Senate seat, she is likely to need union votes and money. A decision is expected by Feb. 20. In Prime Healthcare’s early years, Reddy was attacked for his ruthless drive to cut costs. He canceled contracts with insurance companies and used emergency rooms to replace lost revenue. He was repeatedly accused of trying to avoid caring for those unable to pay, allegations that he strongly denied. In a lawsuit, Kaiser Permanente contended that Prime Healthcare hospitals needlessly admitted emergency room patients, rather than transfer them to Kaiser facilities. Reddy denies wrongdoing, and his company is suing Kaiser for tens of millions of dollars in unpaid bills. Both lawsuits are pending. Reddy was arrested in 1999 and charged with threatening a doctor at a San Bernardino County hospital, but the case was dismissed after the doctor recanted his allegations. A judge later declared Reddy factually innocent. The chain’s biggest adversary has been the SEIU-United Healthcare Workers West, a union that represents about 150,000 healthcare workers in California, including about 2,600 at the Daughters of Charity hospitals. The group has run a five-year, highly public campaign aimed at exposing alleged violations by Prime Healthcare. Among the more serious allegations: Prime has been accused of overbilling Medicare, the subject of an ongoing Justice Department investigation. The company also paid $275,000 in 2013 to resolve a federal investigation into the improper release of a patient’s records. In 2011, the union helped persuade Harris to reject Prime Healthcare Foundation’s proposed purchase of Victor Valley Community Hospital in Victorville. The sale was “not in the public interest and will likely create a significant effect on the availability or accessibility of healthcare services to the affected community,” she said. In all, the attorney general’s office has approved two past purchases by Prime and rejected two others. The union’s research helped spur an ongoing Justice Department investigation of Prime Healthcare’s billing practices. It has issued dozens of news releases critical of the hospital company and built a coalition of state and federal lawmakers opposing the proposed Daughters of Charity sale. Despite the union’s campaign, many in the healthcare industry say Reddy has learned to play nice, to his company’s benefit. The California Nurses Assn., for instance, supports the Daughters of Charity sale to Prime Healthcare. Robert Issai, chief executive of the Daughters of Charity chain, said Reddy — and his company’s track record — won him over. In his yearlong effort to find a buyer, Issai said he reached out to more than 100 potential buyers and received six offers for the system before picking Prime. Issai said the Daughters of Charity board chose the chain because it promised to assume more than $300 million in pension liability and keep the hospitals open for at least five years, while keeping most of its 7,600 employees. As Prime Healthcare grew, Reddy was able to negotiate favorable contracts with the biggest names in health insurance: Aetna, Blue Cross, Blue Shield, UnitedHealthcare, Health Net. Many of them have contracts at all 30 Prime Healthcare hospitals. “It’s not that our business philosophy changed, it’s that we became so big … the health plans started recognizing and having to deal with us,” he said. The Prime Healthcare hospitals have received numerous honors for their quality of care. Last year, the Leapfrog Group, a nonprofit that rates hospital safety, gave the Prime Healthcare hospitals in California an average safety score that exceeded the statewide average. Steve Valentine, a healthcare finance consultant and president of the Camden Group in El Segundo, said Reddy used an unusual approach to building his company in the early days.His hardball approach alienated labor unions, insurers and patients who ended up with high out-of-pocket costs, Valentine said. Reddy, 65, was born and raised in India, the eldest of four children from a farming family. Their home had no electricity, no potable drinking water. He was the first in the family to receive any formal education. While attending medical school, Reddy met his wife, Venkamma. The couple moved to the United States in 1976 to begin a residency program at Downstate Medical Center in Brooklyn, N.Y. He learned a quick lesson about living in the desert community, which he still calls home: When tumbleweeds drift onto the road, “You need to be careful not to swerve your car. You need to hit them straight on.”It’s how he approaches business too. Through the years, Prime Healthcare has developed a model to help turn money-losing hospitals profitable, Reddy said. It slashes middle management, which reduces costs and speeds decision-making. And if insurance contracts pay too little, he negotiates new ones. The turnaround of Centinela hospital was key to a region that had been hit by the closures of Daniel Freeman in Inglewood, Robert F. Kennedy Hospital in Hawthorne and Martin Luther King Jr./Drew Medical Center near Watts. Still, many people have asked Reddy whether acquiring the Daughters of Charity hospitals is worth the fight. To read original story in the LA Times, click here. Daughters of Charity Health System, a Catholic nonprofit that operates six hospitals primarily for poor and elderly Californians, is reaching the last bead on its fiscal rosary. The chain is losing money at an alarming rate and wants to sell itself to Prime Healthcare Services, but prominent Democrats and a powerful union have called on Atty. Gen. Kamala Harris to block the deal. For all its faults, however, Prime remains the best hope for keeping the six hospitals open and their vital services operating. Harris should approve Prime’s purchase with conditions designed to keep it from abandoning the Daughters’ mission and abusing the healthcare system. Daughters operates St. Francis and St. Vincent medical centers in Los Angeles County and four others in the Bay Area. 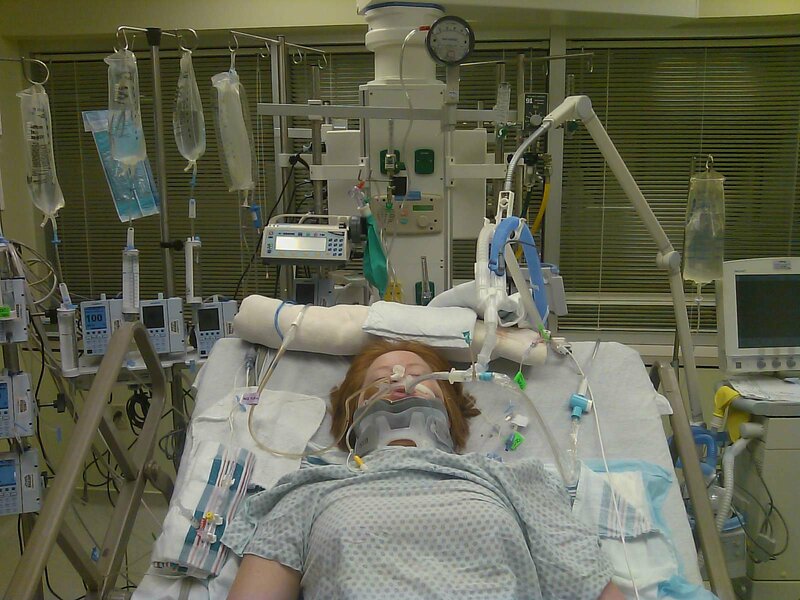 There’s a strong demand for the acute-care and trauma services they provide, and surrounding hospitals aren’t equipped to handle the extra workload. That’s true even in South Los Angeles, where a new Martin Luther King Jr. Community Hospital is set to open this year with about a third as many beds as St. Francis. Although St. Francis was in the black as recently as 2013, the chain’s losses have been growing, hitting $130 million last year. And with a short-term loan expiring soon, it teeters on the precipice of bankruptcy. Going into bankruptcy wouldn’t necessarily close the hospitals, but the process would almost certainly lead to cuts in workers’ dangerously underfunded pensions and in the hospitals’ services. Harris’ goal should be to prevent those things from happening, which means keeping the system out of bankruptcy. And considering the perilous state of the Daughters’ finances, there’s no time to search for new buyers willing to take over the entire system, which appears to be the only financially viable approach. The bidding process yielded only two such possibilities: Prime and Blue Wolf Capital, a private equity firm. Blue Wolf’s complex offer calls for the firm to manage the chain (for a hefty fee) while attempting to turn around its finances by cutting costs, raising revenue and mortgaging the medical office buildings. If these efforts were successful, Blue Wolf proposed, it could buy the chain for an amount equal to its liabilities. 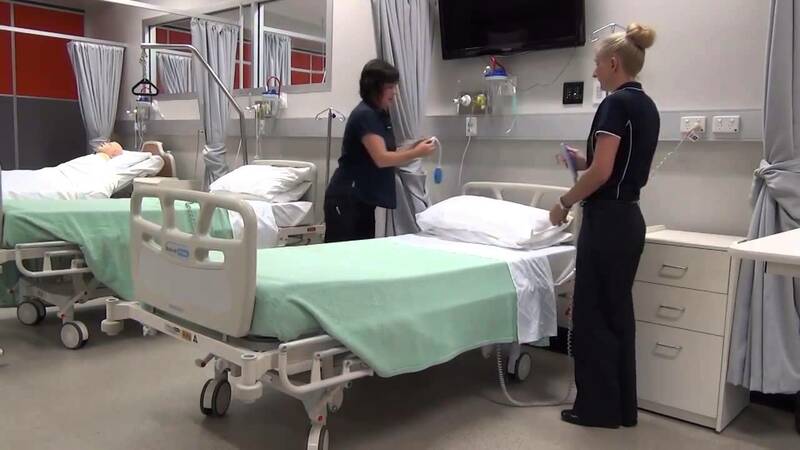 But the investment bankers who reviewed Blue Wolf’s bid raised concerns about the hospitals being saddled with too much debt and not enough capital. The firm also offered no deposit or any other protection for Daughters in case the deal collapsed. Daughters chose Prime because it would buy the system outright and assume its liabilities. It also pledged to keep the hospitals open and the services intact for at least five years while protecting the workers’ pensions. Those are all important commitments, provided they are enforceable. What’s troubling about Prime, though, is the tactics it has used to boost per-patient revenue and pull troubled hospitals out of the red. Among other things, critics accuse the company of canceling insurance contracts to increase out-of-network billing and diagnosing unusually high percentages of obscure and expensive ailments. Some of Prime’s critics argue that Harris shouldn’t reward this behavior by approving the sale. But the people who rely on the six Daughters’ hospitals don’t care what Prime did while it was scratching out a foothold in the industry, before it could command favorable rates from insurers. They care what it would do going forward. And so should Harris. Under state law, the attorney general must consider whether the sale may significantly affect the availability or accessibility of healthcare services to the community and whether it’s in the public interest. The former criteria give Harris the right and the obligation to impose conditions on the sale that commit Prime to keeping the hospitals open and key services available for the long term. The latter gives her the ability to impose conditions barring Prime from using its clout to gouge payers and requiring the company to support alternative payment systems to slow the growth of healthcare costs. Prime believes it can turn the Daughters’ hospitals around not just by collecting more from insurers, but also by cutting overhead and providing better, more efficient care. It should have the chance to do so. To read the original story in the LA Times, click here.